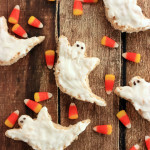 Amazing Rice Krispie Ghosts that are perfect for Halloween Parties! These Halloween treats are easy to make and taste delicious! Don’t miss out on this recipe! I love making rice krispie treats. They are easy to make and fun to decorate for holidays. For these ghosts, I simply used a ghost cookie cutter, candy melts, and dark chocolate! I ended up spooning the white candy melts onto the ghosts. The plan was to dip the tops in the bowl but the ghosts were bigger than the bowl. For the dark chocolate, I put the melted chocolate into a sandwich bag and cut a small hole in the corner to pipe the eyes onto the ghosts. This makes for very easy clean up. A delicious treat for Halloween the kids will love! 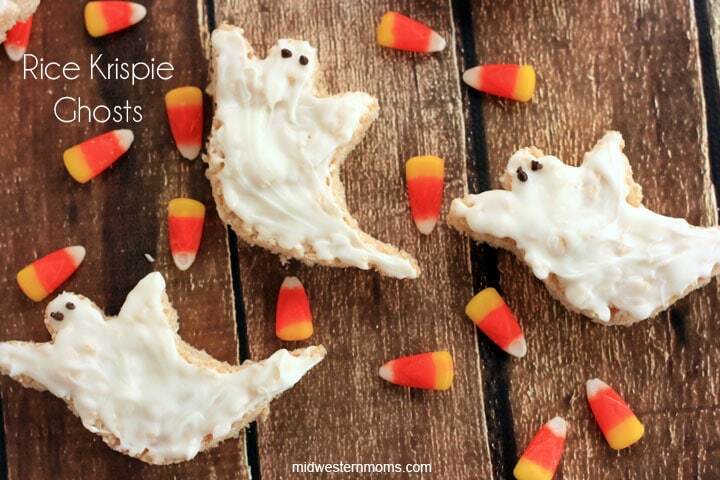 Deliciously fun Rice Krispie Ghosts. Perfect for Halloween treats! In a large pot, melt your butter. Once melted, add your vanilla extract and your marshmallows. Stir until the marshmallows are melted. Stir until it is all mixed thoroughly. Put your mixture in a 13 x 9 grease dish. Using a greased spoon or your hand with a bit of non-stick spray, press your treats into the pan. Allow to cool before cutting out your ghosts. I just used a cookie cutter to cut the ghosts out. Melt your white candy melts. Spoon over the tops of the ghosts or dip the tops in the candy melts. Once the candy melts had time to cool and harden, melt your dark chocolate or black candy melts. Put your chocolate or black candy melts in a sandwich bag and cut a small hole in one corner. Add the eyes to your ghosts. Allow the eyes to harden before serving. These are too cute for words! I may give rice crispy treats another go! so cute! 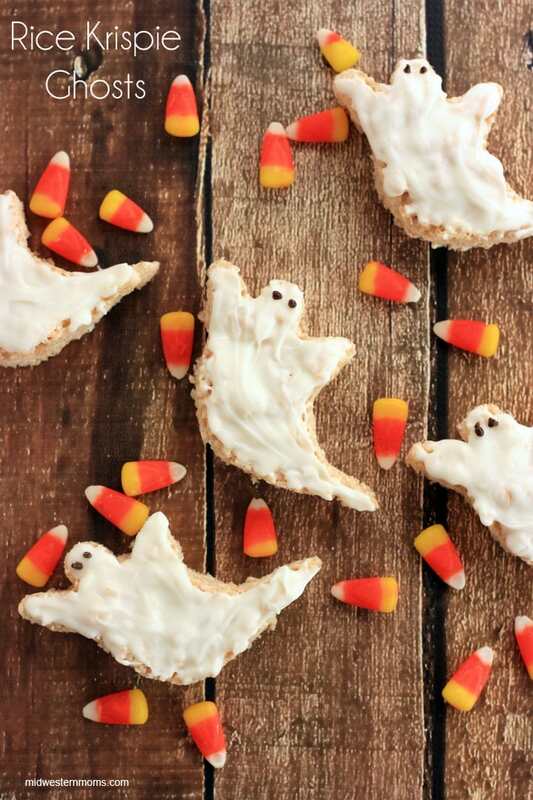 I might have to make these for our halloween homeschool week! SO glad you posted these little guys on my site! Thanks–they are too cute. These are so cute! This is making me want some rice krispie treats now! I am definitely pinning this! Thank you for linking up with us at the Tips and Tricks Link Party! I hope to see you again this week! These look adorable! I want to make these for next year’s haunted laboratory party!